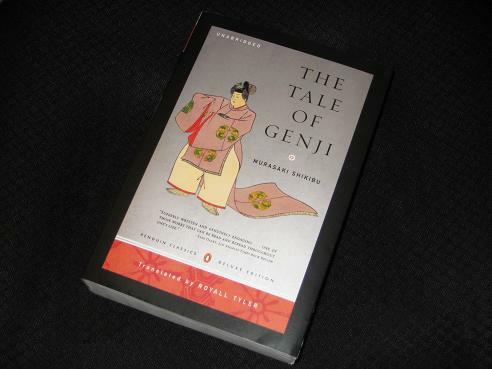 The Tale of Genji (translated by Royall Tyler), written at the start of the eleventh century by a lady living somewhere in the royal court (later given the name of Murasaki Shikibu), is undoubtedly one of the classics of world literature. A long, long time ago in a galaxy country far, far away, the Emperor was borne a son by one of his junior wives. Despite his preference for the wife, and the son, power struggles in the court meant that he would never be able to leave the throne to his latest child. Instead, the child became a ‘commoner’, and ‘Hikaru Genji’, as the child was quickly dubbed, grew up outside the royal family, but still in a life of luxury. This is a book which explores a man’s character, his strengths and, especially, his weaknesses – which, having got to know him, we can (mostly) forgive. The more I read of the book, the more I thought of another writer who used his work to follow the life of a man, a certain Anthony Trollope. No, wait, I’m going somewhere with this… Anyone who has read the Palliser novels will know that while the main topic appears to be British politics, the overarching theme of the series is an examination of the life and character of one character. Plantagenet Palliser is a man born for great things, even if he didn’t really want them, and while Genji and Palliser are rather different in character (the Englishman is a born worker where his Japanese counterpart is much more of a dreamer), they are connected by their inability to escape their birthright. The truth is that both the Duke and His Grace would turn their backs on the world if they could. With the overwhelming charisma and presence of His Grace, one of the surprises about The Tale of Genji is the fact that the main man himself doesn’t make it to the end. Murasaki passes away around two-thirds of the way through, and her husband doesn’t survive her by much (his passing is marked, poignantly, by an empty, unnumbered chapter entitled ‘Vanished into the Clouds’). After his death, there are a few, bumbling, connecting chapters before the start of a new narrative, one in which the next generation comes to the fore in the shape of Genji’s grandson, Niou, and His Grace’s supposed son, Kaoru. I love Genji! I read the Seidensticker translation about 10 years ago. Love reading about this book, one day I mght jump on board, 1000+ pages is a major commitment, but one that seems to be worth it. Looking forward to part 2! It”s with books like this I’m happy to have an e-reader, I rememebr when I read A Suitable Boy, going for the 3 volume set rahter than the 1000+ chunkster! Just discovered your blog today. I also have a blog, titled Svetlana’s Read and Views, and on my blog I review contemporary fiction, some non-fiction and so far. I loved Tale of Genji by Murasaki Shikibu, and I was curious what your take on it will be. Glad you also enjoyed it 🙂 If you were to ever delve into Chinese literature, try out Dream of the Red Chamber by Cao Xueqin 😀 and good luck! For some reason I couldn’t add a comment here yesterday? Jävla Musik – Thanks 🙂 It is a great read – in fact, I’ll soon be opening a commentary on the book, the third Genji-related work on my blog in the past year!